With medical cannabis being legalized in more and more states, many people want unbiased information as to the efficacy of it. "Curing Cancer Using Cannabis..." investigates the potential of cannabis to treat cancer as well as other diseases. 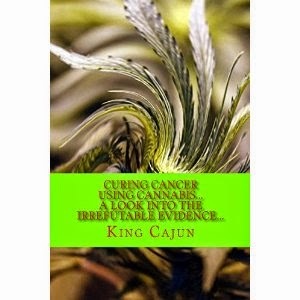 King Cajun begins his personal look into cannabis for curing cancer due to family members' battles with cancer. The book opens with a history of cannabis use and the details of the plant. It goes onto look at the science behind cannabis (what neuro-receptors it affects, etc) before evaluating the evidence for and against medical cannabis. One of the most interesting sections, for me, covers Israel's use of cannabis to treat cancer and alleviate side effects of chemotherapy. I'd never heard of that study. There's also a fascinating section about the difference between THC and CBD that taught me a lot. I'd recommend this book to anyone who wants an unbiased look at the potential of cannabis as medicine.